Sports fans are by nature a superstitious and circumspect lot, but the Met fan has a cultivated cynicism that at this point is hard to match. The play that took out two of the Mets best and most popular players – Ike Davis and David Wright – pretty much sums up the season – a little league moment when an infield pop-up caused Wright and Davis to collide. They have now both been out for almost two months. Many head-shaking and major-league-rare moments like this have followed, including what should have been a double-play to end an inning a few nights ago against the Tigers, if Tejada and Turner hadn’t been confused about whose job it was to cover 2nd — they both ended up awkwardly standing on the same bag at the same time looking a bit lost. And their ragtag troupe of young players, like the improved but still somewhat shaky catcher Josh Thole (recently a friend asked a bunch of us what new record we might see broken. I mused that Thole might set one for most passed balls at home plate; but that was a while ago, he’s been ok lately); and the up and comers Justin Turner and Daniel Murphy have been adding to this minor league atmosphere but also showing flashes of brilliance. Flashes. You never forget what is going on between the watchable exciting moments. What the real storyline is. 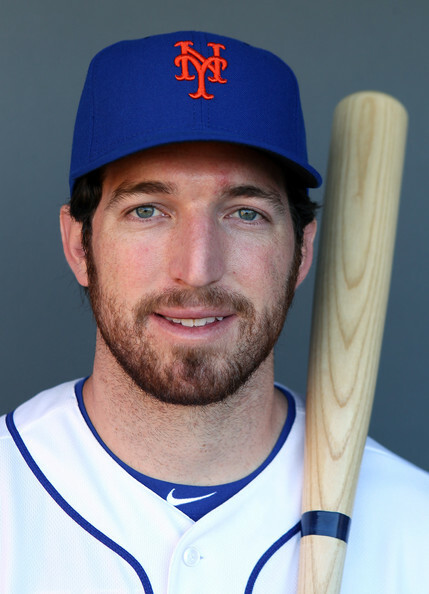 The second Jason Bay comes up to bat, reality hits back hard. As any baseball fan, and now any New Yorker reader now also knows from Jeffrey Toobin’s exceptionally informative and painful article, financial difficulty and Bernie Madoff’s Ponzi scheme also define this season. Fred Wilpon, the Mets’ rather annoyingly candid owner, is in the cross-hairs of Irving Picard, the bankruptcy trustee appointed to handle the Madoff fallout. This has already led to the sale of part of the team and will undoubtedly affect whether or not the most valuable players will remain in Mets uniform – Reyes, Beltran and K-Rod might be worth too much to keep on a team that is not in contention (but what if the Mets find themselves in the wild card race? A lot for Sandy Alderson et al to think about. A lot of bad decisions to look forward to). So ultimately, this Mets season, at the moment hovering just above .500, is about enjoying the pleasant surprises of individual talents – especially those of Jose Reyes. And the Mets’ recent 52 run/4 game spree just baffles a fan even more – definitely the most manic depressive team in baseball; it’s hard to live with that kind of volatility. All this leaves a real baseball fan craving & needing more. Some play fantasy baseball. Others fill the void by complaining, whining, hating on the Yankees and Phillies, and obsessing over the flawed stewardship of the Wilpons. My wandering eye almost invariably leads me to the fullness of baseball that really only books can provide. A few weeks ago at the Greenlight Bookstore on Fulton Street in Fort Greene, Leonard Cassuto, editor of the new Cambridge Companion to Baseball, and Caryn Rose, of Metsgrrl.com, chatted about this tension between the game as observed by the curious and detached and the game as lived daily by the individual, the more often than not frustrated fan. The two embodied their two worlds perfectly – Cassuto, an English professor at Fordham, speaking in calm measured tones about the more “interesting” aspects of the game and how it figures in the larger fabric of American culture; Rose with a fan’s embittered tone, cursing the Wilpons under her breath and speaking with her inherited bile of being spurned by Walter O’Malley (her father was a Dodgers fan). For Rose it is all very visceral, for Cassuto it is not. Which is just as well since Cassuto has provided a valuable service with the Cambridge Companion, which starts with a detailed timeline of baseball and follows with various essays that range from baseball in film, baseball and the color line, how one compares the measure of greatness in baseball vs. other things like literature and a great chapter about baseball and the American city. All this is done in a very manageable 200 pages, no small feat for what may become one of the most useful & handy guides to the game. It is hard to imagine there is much to add to the immense canon of baseball literature but what separates this collection of essays from almost everything else before is that it is a purely observational and sociological account. Almost all else out there is written for fans and aficianados by journalists and other insiders. The Cambridge Companion is geared towards those generally interested in American culture and how baseball both defines it and is defined through it. For a fan it takes some getting used to and reads as if it were written for someone who is BSL (Baseball as a Second Language). Most other baseball books, even the most cynical ones, take you along for the ride and add to the mythic grandeur of the game, they speak your language. But to the baseball fan there is never enough new information and Cassuto makes sure to also keep some of the magic intact with inter-chapters, like the ones about Babe Ruth and Roberto Clemente, both of whom generated the real kind of super-star tales that defy any fiction-writer’s imagination. Both Cassuto and Rose are serious music fans and when Rose is not writing about baseball, she is most likely writing about rock. She wrote a recent post about the passing of Clarence Clemons and turns out both she and Cassuto are devoted Springsteen fans. The two tried to compare and define the happiness of being a music fan and the happiness of being a baseball fan. This left me a little confused. Music can bring one such unadulterated joy. There may be some disappointments, as in bad albums or bad shows. But rarely does it drag you through a half year of personal drama and break your heart, year after year. To use the word “happiness” to describe following sports at all does not seem appropriate (except the day you win the World Series). But it is something more, it is fuller, a bit more like life, but because it is ultimately not real life, it can serve as a unique cathartic release from it. This entry was posted on June 30, 2011 at 12:17 pm and is filed under Books, The New York Mets. You can follow any responses to this entry through the RSS 2.0 feed. You can leave a response, or trackback from your own site. Your two loves,writing and baseball….let me suggest how you may combine both with my radical new idea for a rule change to our national game. The Mets rule and Jose is the ringmaster! For better or worse…the Mets are INTERESTING this year! I don’t know Nelson, I often find “interesting” to be highly overrated! I can’t ask for more in the dog days of summer, especially when the docs run out.